Are you looking for a company specializing in affordable window replacement? Westmont, IL property owners trust the experienced professionals here at Best Windows. We’ve been serving the Chicago metro area for many years, installing replacement windows, siding, roofing, decks, patios and performing residential remodeling projects too. At Best Windows, we aim to exceed your expectations of excellence! We’re proud to maintain an A+ Better Business Bureau rating. Quality craftsmanship, combined with exceptional customer service and affordable prices are very important to Best Windows. In fact, we offer a low price guarantee to our clients! So if you find replacement windows elsewhere for a lower price, we’ll beat that price by ten percent or more! Are you wondering how those Energy Star windows are different from other windows? The United States Department of Energy (DOE) established the program and the National Fenestration Rating Council (NFRC) set the criteria for the ratings, which require windows to meet stringent energy efficiency guidelines. The performance criteria for Energy Star windows is somewhat variable as each geographic region has a unique climate, so the definition of ‘energy efficient’ may entail keeping a home cool in Florida, while it may involve keeping a home warm in Chicago. So the NFRC developed different climate zones: northern, north-central, south-central and southern. Illinois is located in the northern and north-central climate zones. Energy Star replacement windows have a range of different features, such as low-e glass to reflect infrared and ultraviolet light and multiple panes. In the case of multiple panes, there is a slight separation between the panes of glass and the air space between the panes serves as an insulator (for temperature and noise). Most double pane windows feature a gas filling in this space between the two glass panes. It’s common to use non-toxic, clear gases such as Krypton or Argon gas, which are more efficient than the ambient air when it comes to insulation. Spacers are also used to properly seal the area between the two window panes. Many frames also have insulation in the frame area. Most of our replacement windows carry an Energy Star rating, which will also enable you to take advantage of government incentive programs. You may be eligible to enjoy a tax incentive when you install Energy Star windows, which will also help you save ten percent or more on your heating and cooling expenses. Need another reason to install new replacement windows? Westmont, IL homeowners will be delighted to know that at Best Windows, we guarantee all of our work and our windows carry a transferrable lifetime guarantee. Contact Contact Best Windows today and a friendly member of our team will provide you with a no pressure, no stress price quote for your window replacement project. Call Best Windows at 708-204-2446. 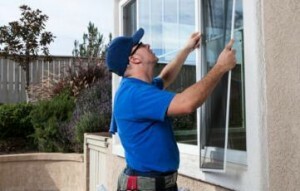 Visit our website https://bestwindows.net/ for more info about window replacement Westmont IL.